Darjeeling, a Tibetan name translating as 'land of the thunderbolt', is one of the most renowned tea growing Himalayas in West Bengal, North East India, not far from the border with neighbouring Nepal;the distinctive teas crafted there are among the world's best. Valley, produces some of the very finest Darjeeling teas. 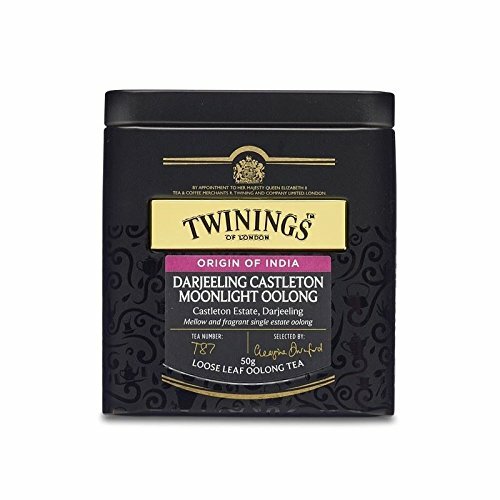 Moonlight oolong is an extraordinary tea that is produced in very limited quantities. Its slender, twisted leaves with furry white tips deliver a deliciously mellow, fragrant liquor, with slight peach sweetness and warming, lingering honey notes.